Daniels Landscape Inc. is a licensed and insured landscape contractor serving Rancho Santa Fe, Encinitas, Rancho Bernardo, Escondido, Vista, Poway, San Marcos, and other cities throughout North San Diego County. 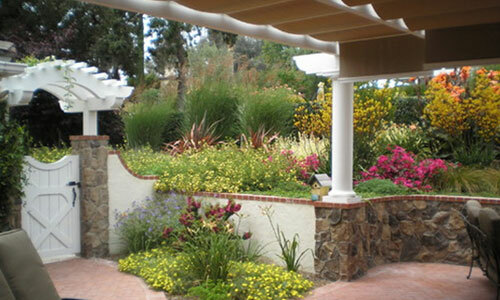 We have designed and implemented plans for hundreds of high-end landscape projects since 1984 and won numerous Beautification Awards from the California Landscape Contractors Association (CLCA) San Diego Chapter. With more than 30 years of experience, our team has the skill to handle properties of any size, from small courtyards to multi-acre estates. No matter the size of the project, we will always bring the same level of care and attention that we've become known for and work hard to ensure that we exceed your every expectation. 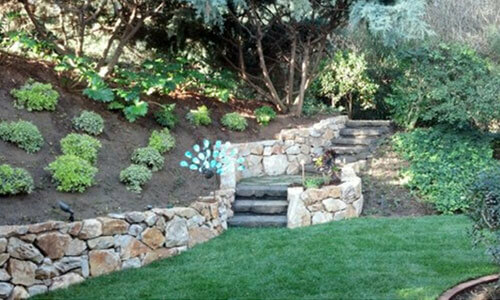 At Daniels Landscape, we know that landscaping influences the overall style and value of your property. That's why we use high-quality materials and the industry's leading design and construction techniques to deliver superior results. Our attention to detail, design expertise, and superior workmanship allow us to redefine your outdoor space by bringing together hard-scape and soft-scape elements into one harmonious design. Hard-scape features like walkways, patios, natural stone borders, planter walls, firepits, and outdoor kitchens can be used to create defined functional spaces, while trees, vines, shrubs, flowers, grass, and other soft-scape features add color, texture, and depth. As a result, every single element plays a role in ultimately creating a landscape design that flows throughout the property, complements the style of the home, and is gorgeous and inviting. 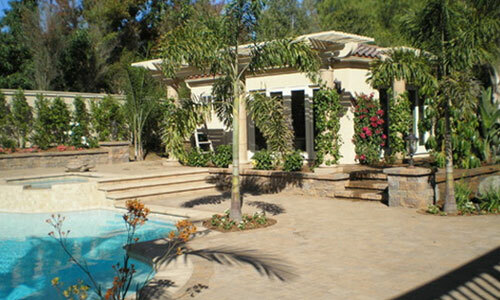 Whether you are looking for an experienced professional to help finalize the details for your design or are just beginning to explore your design options, Daniels Landscape is your best choice for custom landscape design in San Diego County. We're well known throughout the area and trusted by many of the leading architects in the area. 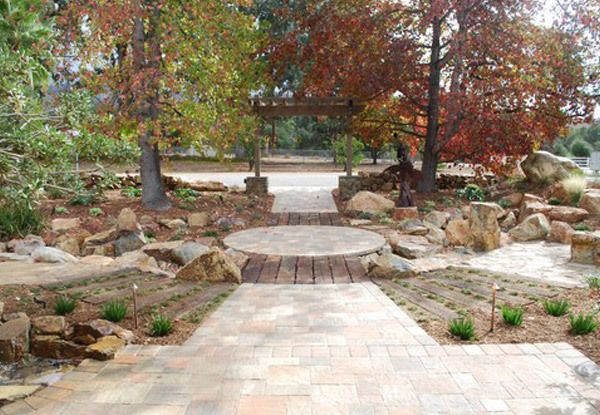 From expertly constructed hardscape to hand-selected softscape, we pay close attention to every detail to successfully transform each landscape into a relaxing getaway that can be enjoyed for years to come. We stand behind the quality of our work with a one-year warranty on materials and labor, and we always offer a complimentary consultation. Call us today to schedule your free estimate for landscape design and build services in Rancho Santa Fe, Encinitas, Rancho Bernardo, Escondido, Vista, Poway, San Marcos, and surrounding cities.